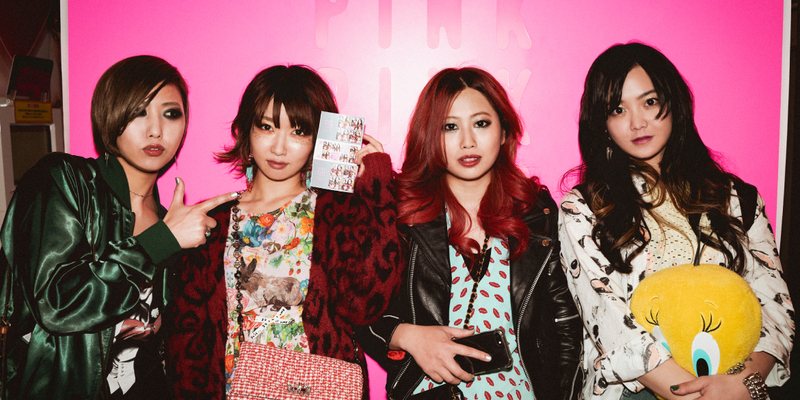 LAZYgunsBRISKY is a Japanese all-female rock band that formed in 2006 when they met at high school. They recorded their first free demo CD "the trip" (not for sale now) in Feburary 2007. In April of 2008, they released their first indie debut album "quixotic" ON indie label, July Records. In December of the same year, Kenichi Asai (ex. BLANKEY JET CITY) became their producer and released the major debut mini album "Catching" on the BabeStar label of JVC Victor Entertainment. July 8th of 2009, they released their 2nd mini album "26times" on FlyingStar Records, also produced by Kenichi Asai. In 2010, the band played a European tour and have always aimed to rock the world. Along with this tour their 1st mini album "Catching!" was released in Europe on German label, "Spark &Shine Records". Their 2nd mini album "26 times" was released in North America on Good Charamel Records, an indie label of Robby Takac from The Goo Goo Dolls, and also featured on the "I LOVE J-ROCK compilation CD in 2010. Copyright © LAZYgunsBRISKY official web site All Rights Reserved.